The Uncharted 4 Multiplayer Trailer has been revealed and there's plenty of action! Looked pretty normal till the last 15 seconds, where it became all supernatural.. 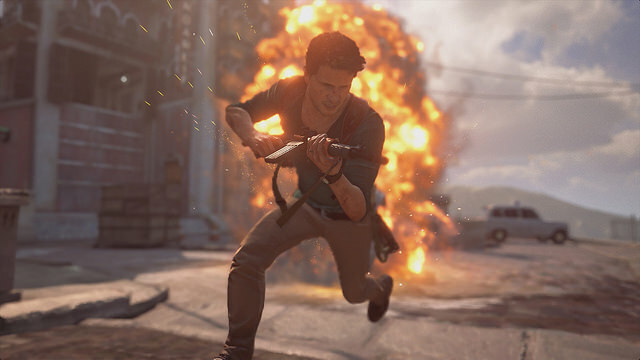 I have never played the Uncharted Series' Multiplayer but this looks like a lot of fun. Reminds me a bit of The Last of Us. I enjoyed that. According to Playstation Blog, there will be some new systems being added to Uncharted 4's multiplayer, never seen in the series history. Sidekicks: When you are in a pinch you can call in your friendly Sidekick to help you. These are unique, AI controlled characters that come equipped with unique abilities that can help turn the tide of a battle. Mysticals: These are supernatural abilities from the Uncharted series that give a player unique powers. See if you can recognize what Mystical abilities we are showing off in the trailer. Last, you will be able to leverage the grappling hook in a number of locations in our multiplayer maps. We have also heavily leveraged this exciting mechanic for our melee. Yes, you will be able to land on people and take them out –would you expect less? Interesting! I'm looking forward to trying out the Multiplayer Beta, when it's open from Dec 4 - Dec 13. Anyone wants to join me? Probably even open a group for all friends to join?